The Milanese independent film festival promises innovation and an International schedule under the direction of Gabriele Salvatores. 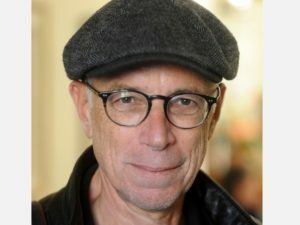 Gabriele Salvatores, 67 year-old Academy Award-winning director (Mediterraneo, 1992) has been named Artistic Director of the Milano Film Festival, organised by “Esterni” in partnership with the City of Milan. Salvatores joins Alessandro Beretta, artistic director since 2011. 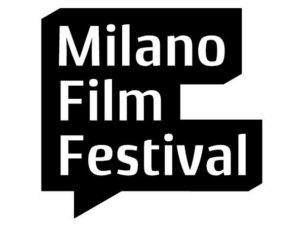 The 28th edition will take place from September 29 until October 7, 2018, at BASE Milano, at ANTEO Palazzo del Cinema, and at Piccolo Teatro Studio Melato. The aim is to renew the Festival and make it a renowned “research centre” showcasing the latest and most innovative contemporary movies. Independent cinema, international guests, new technologies such as ‘Virtual Reality’, and a gaming project, will consolidate Milan’s position as one of the most attractive cities for the cinematic world. Milano Film Festival was founded in 1996 (back then, it was called “Cortometraggio”) as a small festival dedicated to emerging movies and artists in the national and international film industry. Over the years, it has grown into a real “talent scout” event. MFF is a founding member of Milano Film Network, the network that unites the experience and resources of Milan’s seven film festivals (Festival del Cinema Africano d’Asia e America Latina, Festival MIX Milano, Filmmaker, Invideo, Milano Film Festival, Sguardi Altrove Film Festival, Sport Movies & Tv Fest) for a cultural offering throughout the year and a series of services for those who operate in the cinema and in the audiovisual industry in Milan and in Italy. Independent cinema has started establishing itself in Milan in the early 80s, with directors such as Gabriele Salvatores himself, Silvio Soldini, Gianluca Fumagalli and Alina Marazzi. Originally, the Festival was an exclusive event, restricted to a small group of filmmakers and friends. In 2000, however, new awards such as the “People’s Choice” and the “Best Feature Film” were introduced, making the MFF one of the major cultural events in Milan.